Laguna Laser would like to take the time to welcome our Phoenix neighbors into our doors! Laguna offers the most competitive pricing and top-notch service you can find in the Valley of the Sun. It’s for these reasons and more that so many of our clients keep coming back to Laguna. 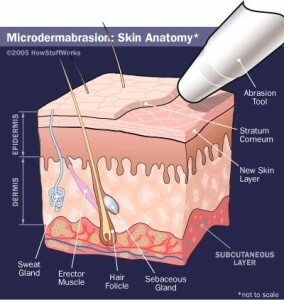 And now Laguna Laser and Aesthetics is proud to offer microdermabrasion and premium skin care services! We are well-versed in the many methods microdermabrasion currently available on the market, but we are best known for using a state of the art, crystal-free method of exfoliation. We use an actual diamond-tip hand piece that moves in rapid short strokes across the skin. We all know the negative impact stress and the environment plays in wrecking havoc on our peace of mind, so come to Laguna and relax with a facial and a Phoenix microdermbrasion treatment. We have monthly specials which you can find on our website. You can also call (480) 292-9677 to schedule a free consultation. We have also on staff board-certified dermatologist and physician Dr. Elisa Mashal M.D., who has been practicing in Arizona for over 15 years! For more information on our laser hair removal Phoenix specials, please email alexis@lagunahr.com or call (480) 292-9677, and we would be more than happy to assist!